You might have noticed a few changes here… I recently moved my blog from Blogspot to WordPress. This will give me more flexibility in giving my blog a look and layout I like… and I’ll have a little more control over my content. 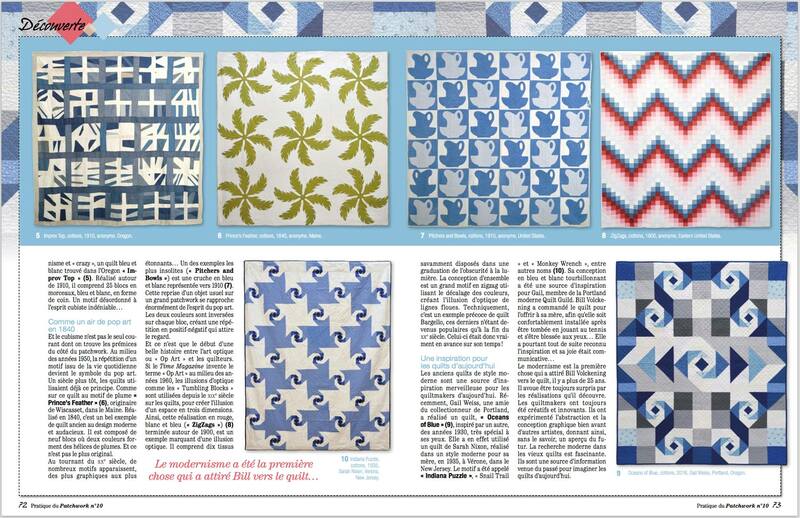 In the meantime, I wanted to share a little news: My friend Bill wrote an article for Pratique du Patchwork no. 10, France – and he wrote about the quilt I made, and how it was inspired by a quilt made in 1935. There’s a picture and everything… so exciting to have something in print – in another country even!! Wow! Congratulations on this latest recognition of your talent, Gail!